No landscape, deck, pool, backyard, or outdoor living area in zone 8 is complete until your shrubs provide refreshing year-round shade from the sun. For those living in USDA plant hardiness zone 8, summers can be hot and stifling, and winters cold but short-lived. Planting evergreen shrubs strategically on your landscape will provide ample shade, cooler temperatures, and privacy. The team at thetreecareguide.com carefully selected the following five evergreen shrub species ideal for plant hardiness zone 8, and compiled their growth and care information for you to utilize. 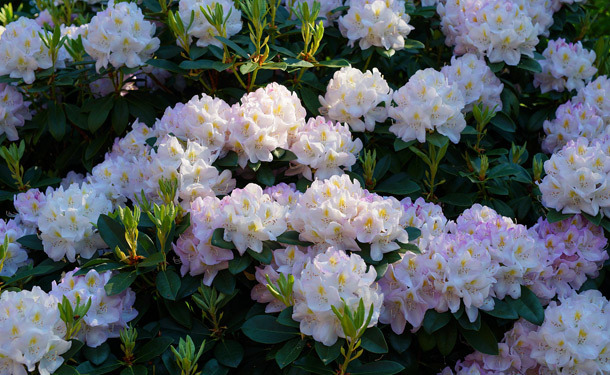 Rhododendrons are very popular medium-sized shrubs that flower abundantly in Springtime. They are slow-growing and must be planted in acidic, organic, and well-drained moist soils. For their establishment and best growth environment, they prefer partial shade. Pest Problems – Scale and aphids are common problems for rhododendrons. Both can be easily treated with neem oil. Special Care – Mulch rhododendrons each spring with 2 to 5 inches of organic mulch to protect shallow roots and keep the soil damp. 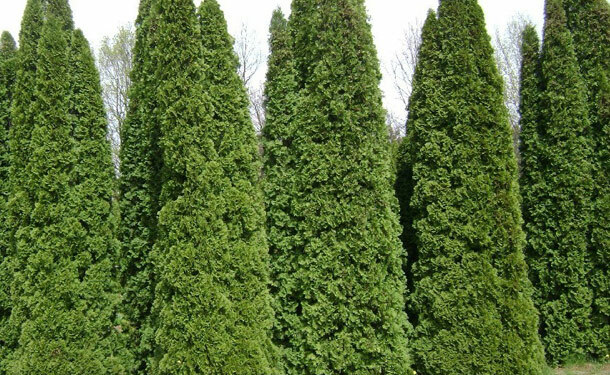 Emerald Arborvitae is a popular tall-and-narrow shrub that is commonly seen potted on porches flanking a door. They are the preferred shrub for privacy screens and tight spaces between properties. This species grows well in both alkaline and acidic soil, is very drought tolerant, and prefers full sun. Bagworms should be treated with either spinosad, permethrin, sevin or malathion in late spring (May). Spider mites are resistant to commercial insecticides, and they are best treated with a horticultural or neem oil. Special Care – Make sure this species receives several deep waterings in late fall early winter. Wind, sun, lack of water, and freezing temperatures combined can cause browning of the foliage. American holly is a very popular broad-leafed evergreen which produces clusters of red berries that last through fall and winter. While quick to fill out, American holly is considered a slow grower, preferring moist, acidic well-drained soil, and full sun for optimum growth. Pest Problems – Leaf miner and scale are problems for American holly, treat the shrub with neem oil during the dormant season to control these pests, and prune back areas that become heavily infested. Special Care – Hollies are dioecious shrubs, they need both male and female plants to produce seeds (berries). 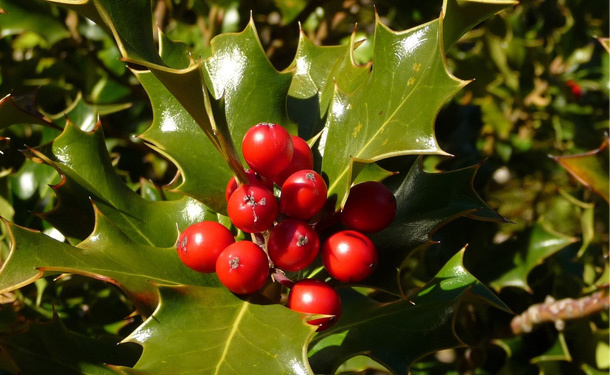 Only the female holly bushes will produce the red berries. Therefore, one male American holly should be planted for every three females. This will ensure the iconic looking brilliant green holly with red berries is on display well into the winter season. An added benefit to the production of these berries is that they will attract a variety of birds and other wildlife to your landscape, increasing its biodiversity. 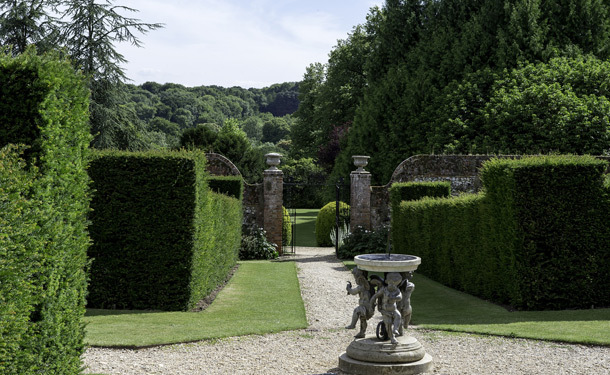 Hicks Yew is a very popular tall and slender shrub that’s easily pruned to form shapes. This species is slow-growing and performs well when planted in acidic, organic, and well-drained moist soils. Yews do best in full sun and can tolerate heat, drought, root pruning, and shearing. However, this shrub does not do well in poorly drained soil, which can lead to root rot, health decline, and death of the shrub. Pest Problems – Scale is a common pest problem for Hicks Yew. Repeated applications of neem oil should resolve this issue. If heavily infested, prune back all troubled areas and treat the remaining foliage with neem oil. Special Care – Provide regular deep waterings throughout the first growing season to grow a strong and extensive root system. Once established, water weekly, increasing the frequency during severe summers. 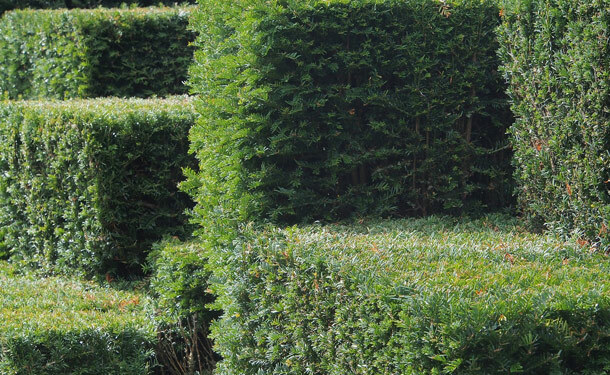 Note: Hicks yew can be pruned in the summer months to form geometrical or other shapes. While yew shrubs are resilient, over pruning may weaken or kill this species. Prague Viburnum is a very popular flowering ornamental or hedge shrub. This species is fast-growing and performs well when planted in well-drained moist soil. In late spring, pink buds open up to reveal ivory flowers which eventually yield red berries. These berries eventually turn glossy black and persist through the beginning of winter. 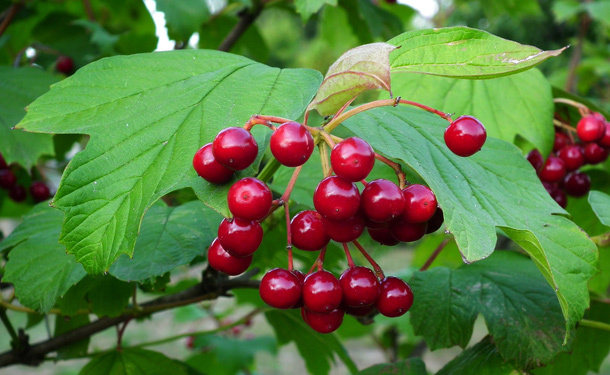 Pest Problems – Scale is a common pest problem for Prague Viburnum. Repeated applications of neem oil should resolve this issue. 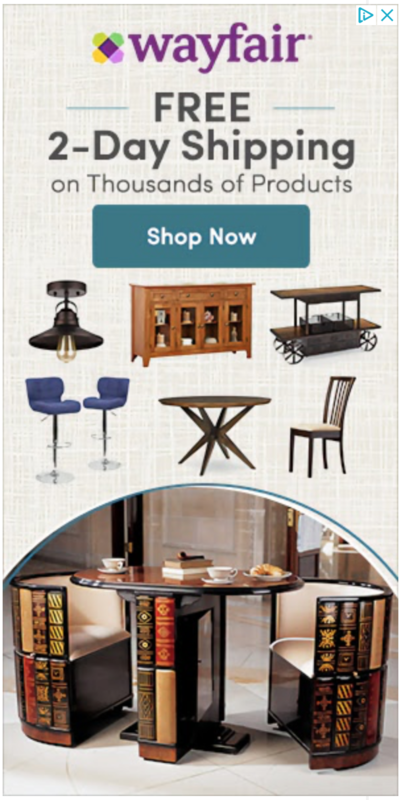 If heavily infested or infestation persists, prune back all affected areas. Special Care – When this species shows signs of trouble, losing its form, shows signs of dieback, or is damaged, it can be pruned to the ground and allowed to regrow. USDA plant hardiness zone 8 is an excellent area to grow evergreen shrubs. The weather and environment in this zone promote fast and tall growth, eventually providing an abundance of shade and privacy for your landscape or outdoor living space. The emerald arborvitae, American holly, hicks yew, rhododendron and Prague viburnum are five of the many suitable evergreen shrubs for zone 8. 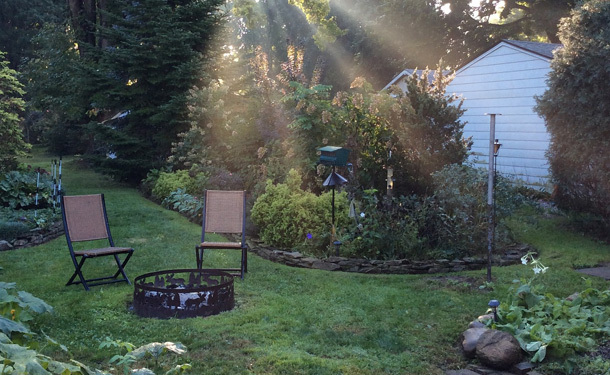 These specific species, give you a unique opportunity to fill the spaces in your yard, while getting the most out of their shape and size. By planting these five evergreen shrubs, you gain the benefit of shade and privacy where you need it in your yard, year-round.